First winner of the Central Class 1957 Alumni Scholarship. 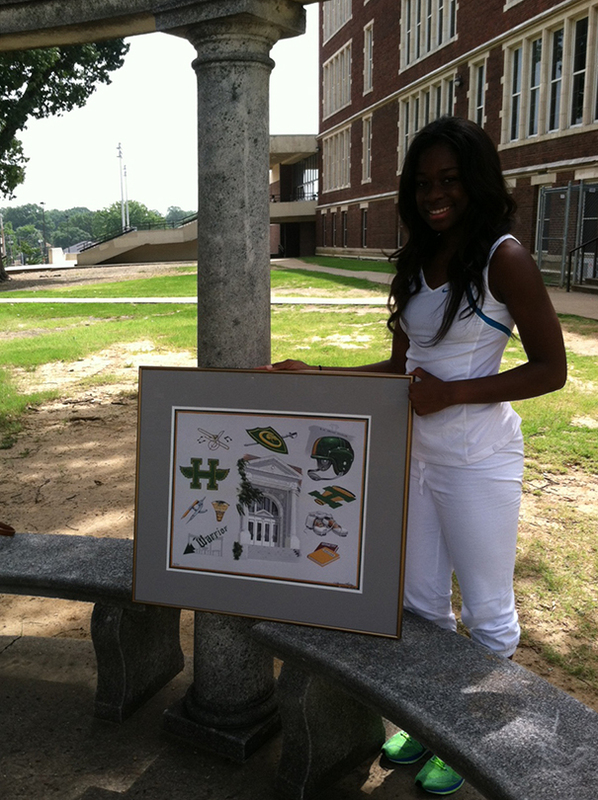 Nekiaya Elam (2013) pictured on the Central campus with the art work by Raymond Waddey. 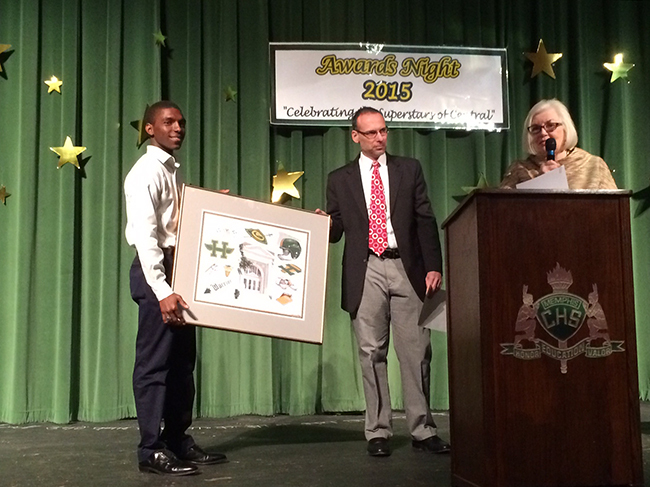 Raymond’s framed print is presented to each scholarship recipient. 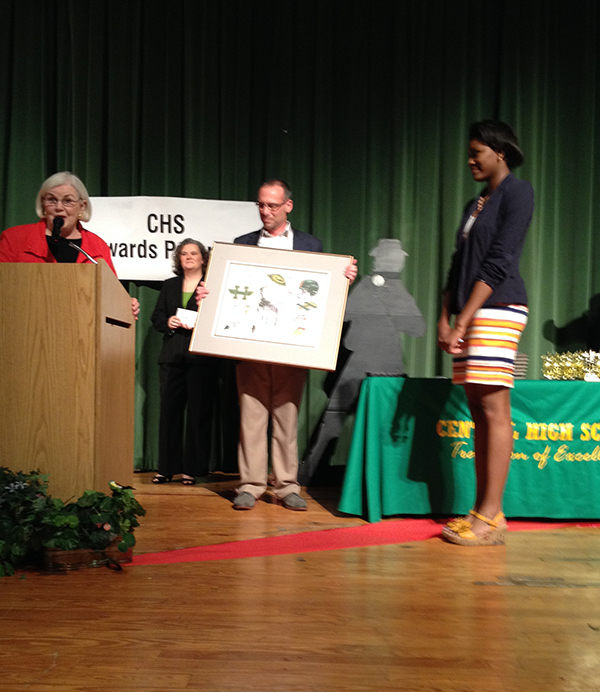 Mary Joy Prichard Knowlton presenting Deonna Williams with the second Central Class 1957 Alumni Scholarship in 2014. 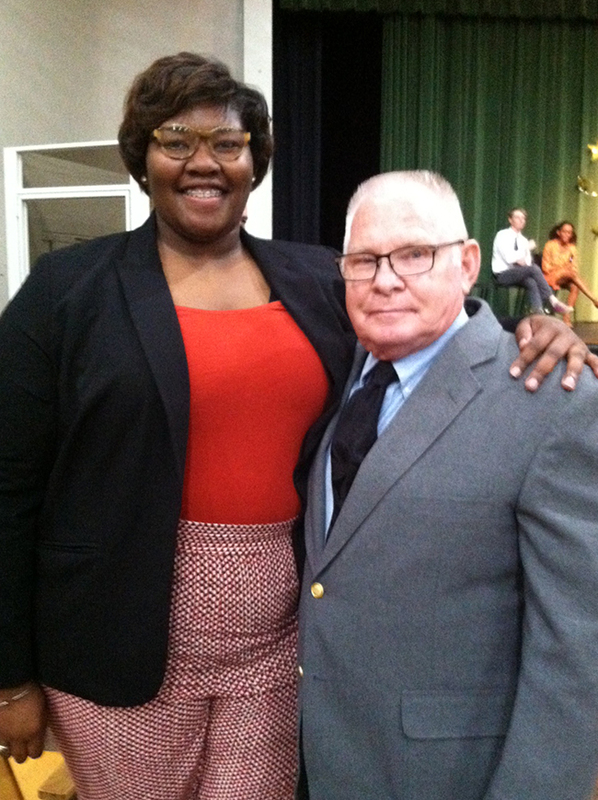 Glenn Vaulx received the third Central Class 1957 Alumni Scholarship in 2015. Mary Joy Prichard Knowlton made the presentation. Kobie Garrett was the 2015/2016 president of the Central student body. Raymond Waddey, our artist, participated in the presentation of the fourth Central Class 1957 Alumni Scholarship and framed print of Central icons.